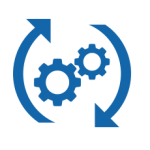 Syntax: Reqchecker uses simple wildcards or powerful regular expressions to find and extract requirements information. The statement is declared by enclosing markers. For example <REQ_0123> declares the requirement REQ_0123. Syntax+Full: full source text is parsed, including text outside requirements. 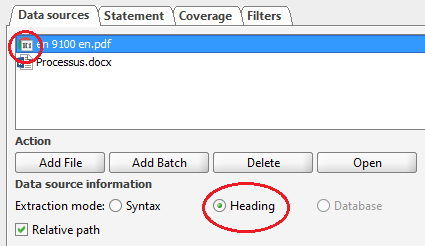 Heading: requirements can be automatically created from heading numbers of MS Word or Adobe PDF document. The ID looks like FIL1§1.1. Database: information is directly read from the table. Manage your own requirement attributes (tags) for requirements as well for coverages. 5 types are available: yes/no, text on one line, text on several lines, list of elements, content of a table cell. Their values are extracted from statements and coverages and can be reviewed in coverage matrix. Custom tags register information directly inside a document, e.g. #C for a coverage comment, #TODO for a reminder, #Type for a requirement type, #Status, etc. Coverage can be declared everywhere in documents using a simple syntax with markers, for example <<REQ_0123>> or <<RFP§4.5.7>>. Coverage can be partial: it must be covered several times to be fully covered. For example a need like "All reports must display the company logo." shall be partially covered by each test of each report. It can be also deleted, uncovered, not applicable, or inconsistent (orphans, multiple statements etc). The partial level can be quantified, for example <<REQ_0123>> #Partial 70% Requirement coverage can be included in another requirement (node) or everywhere in a document (node leaf). In this way requirements can be chained on multiple levels. Check the requirement traceability between different levels: system / sub-system / component, need requirement / functional requirement etc. 9 errors are detected: too many statements, no statement, orphan, leaf but covered, missing coverage, wrong version, wrong partial quantification, incomplete management, validation failed. 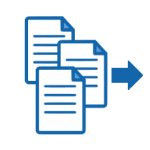 Check propagation of all requirement changes by using the version management: change input documents and Reqchecker™ shows where your documents must be updated. Every statement and coverage has a version. When the requirement is updated in a newer version, the statement remains inconsistent until it is updated too. When no version is available, Reqchecker computes an automatic numeric print code from requirement title and text. By using this code in the coverage, Reqchecker automatically computes the impact analysis of any modification on source documents. 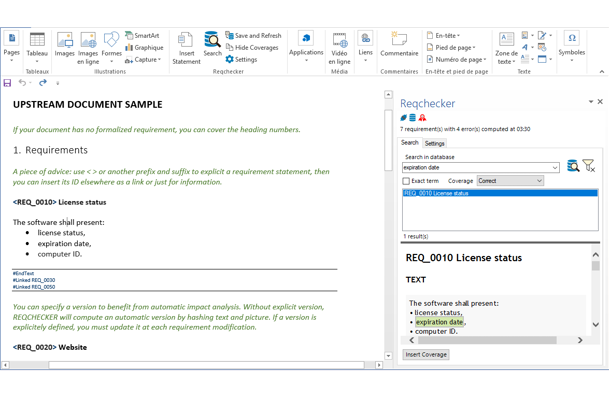 Reqchecker runs several controls on requirements title and text to increase the consistency and ease of reading. 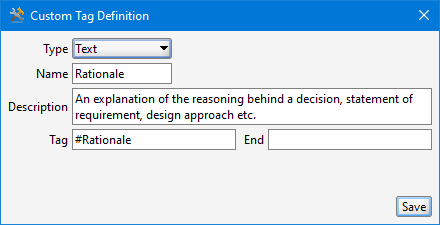 The language used by controls is dynamically selected to match the main language of the analysed document. 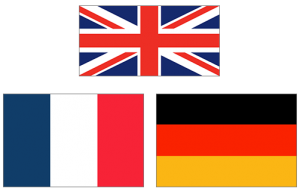 Supported languages for proofreading are French, German, and English. The rules can be customized (PRO Version only). Blacklist control component finds all ambiguous (“most”, “often”, “at … level”) or forbidden (“ASAP”, “TBC”, “TBD” etc.) terms and expressions. Metrics control component checks several metrics that make text hard to read or ambiguous: too many negations, too long sentences, too many coordination conjunctions (“and”, “or”, “for” etc. ), subordinate conjunctions (“after”, “though”, “unless”, etc. ), link adverbs (“furthermore”, “unlike”, “besides”) and logical relation adverbs (“because”, “since”, “in order that” etc.). This all in one report cannot be modified. The header and title can be customized. It can be sent to your customer to prove the coverage rate. The coverage matrix lists all statements, coverages, and custom attributes. 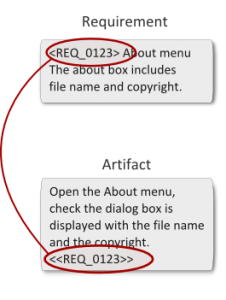 The active links open the source documents at the right position. The verification sheet lists all statements, proofreading errors highlighted in text and comments for reviewing. 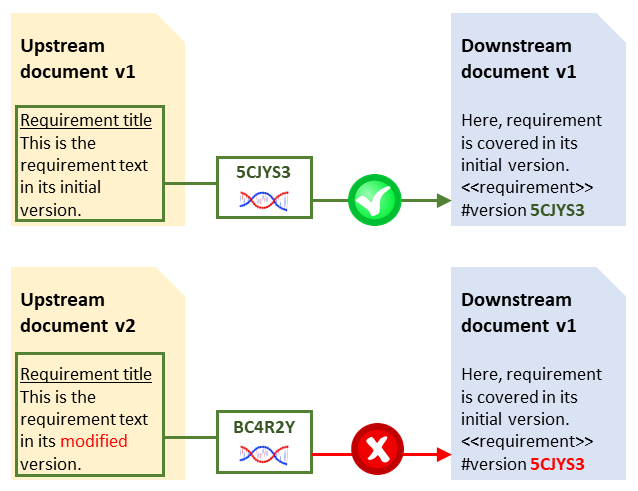 After completion, the sheet can be updated from new version of upstream document, without losing any information. 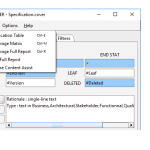 Eclipse content assistance: C++ and Java developers can use the Eclipse IDE content assistant (CTRL+SPACE) to select the requirement and insert coverage. 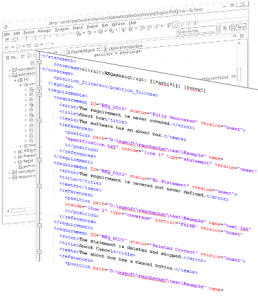 Requirement creation with template, custom attributes, automatic ID creation. Full text search, including exact term search and error type filter. Integrated requirement viewer including highlight of search results and dynamic navigation between documents. 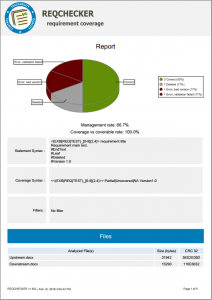 Coverage creation with automatic version management. Graphical user interface and tooltips are available in English, French and German. Detailed online help is available in English.